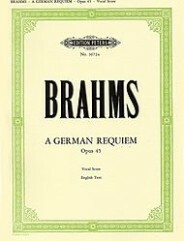 German Requiem by Johannes Brahms. 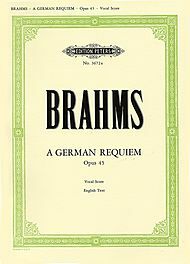 For soprano voice solo, baritone voice solo, SATB choir and piano accompaniment. This edition: English text. Classical Period. Difficulty: medium. Vocal score. Choral notation and piano reduction. Opus 45.